We love Sena’s beautiful eyes and her shy smile. Most of all, we love how she has flourished in our care and that we have been able to give her and her family the chance of a better life. Sena was born with a deformity in her leg. Her mother couldn’t cope with Sena’s disability and abandoned the family leaving Sena’s father to care for Sena and her siblings on his own. Sena, with the use of only one leg, could never walk like the other children so her father carried her with him everywhere he went, even out to work. Stand by Me heard of Sena’s plight and enrolled her into our Abdi Academy where she could gain an education, receive regular meals, access medical care, learn about the love of Jesus and could walk around on new crutches. When we first met Sena she didn’t smile and was so shy, now she is brimming with confidence and enjoyment in life. In fact, she became so speedy on her crutches that it was hard to keep up with her. 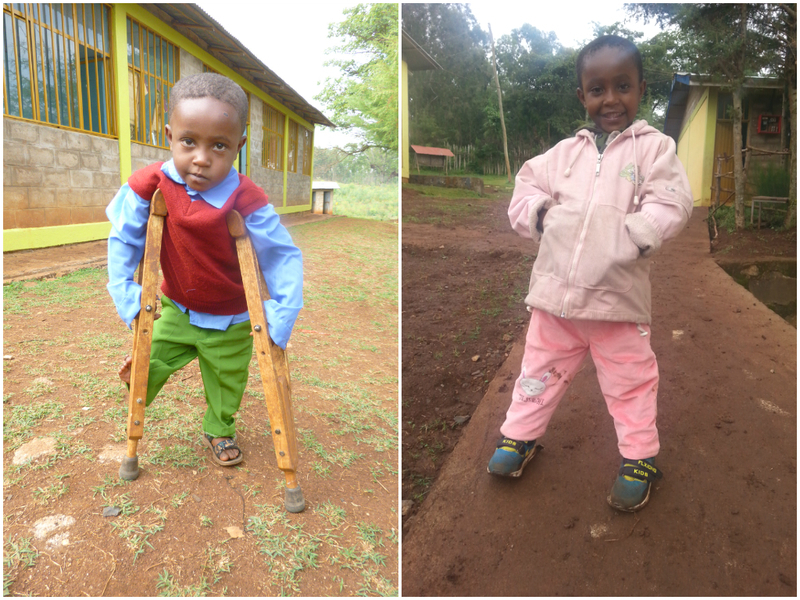 But we wanted to give Sena a life without the limits of crutches and after consulting our school nurse and medical professionals it was decided that Sena was eligible to have an operation on her leg so that she could have the chance to have a prosthetic leg. It was hard for Sena’s father and our staff to decide if Sena was ready for the operation; Sena is young and an operation of this kind could be a psychological strain. So when our staff explained to Sena about the operation she amazed us all, she was so excited about the operation without even a hint of nerves. Sena was not worried, only excited that one day she will be able to wear two shoes that match. We are so pleased to tell you that Sena has had her operation and her leg has healed very well. She was then fitted with her prosthetic leg and has already begun walking without needing her crutches. Sena’s care will be long term with regular medical checks and alterations as she grows. It is clear to see that Sena is incredibly determined, resilient and brave and we know that with our care and her remarkable character her future is bright. To transform a child’s life like Sena’s and help them realise their value and potential, visit our child sponsorship page. "I can now read and see everything I like"